While the aggressiveness of the United States, the EU and other Latin American countries against Venezuela's social democratic PSUV government continues, political preparations for the April 22nd presidential elections have already started. The 14th National Conference of the Communist Party of Venezuela (PCV), which was held last weekend in Caracas, evaluated the current political, social and economic situation and discussed the Party's stance in the upcoming elections. 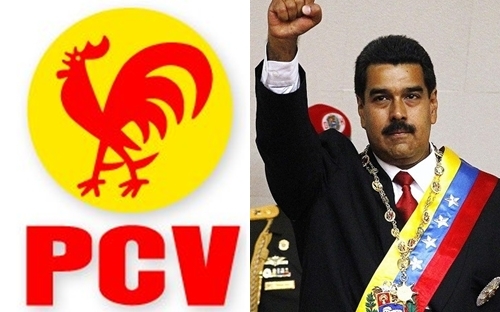 The PCV's Conference Resolution talks about "a broad coalition of political and social forces” as part of a "PSUV-PCV Unified Pact" in order to tackle "Venezuela's dependent and rentier capitalism with anti-imperialist, patriotic and popular political and socio-economic actions". Based on the precondition of the abovementioned "Unified Pact"- which includes a number of pro-people, anti-imperialist and anti-monopoly policies, the Communist Party endorses the candidacy of Nicolas Maduro. The Resolution also mentions that in case it is not possible to subscribe to such a pact, "a new session of the Conference will be called as a consequence to decide on the candidate of the PCV”. From his side, the General Secretary of the PCV Oscar Figuera said that a “draft” of the agreement has already been given to the governing PSUV party and added that the Communist Party have alrady held bilateral meetings with the Revolutionary Workers Party (PRT), the Homeland of All Party (PPT) the ‘Class Struggle’ movement, and the National Antiimperialist and Antifascist Front (FNAA).